With all eyes on hazardous living situations in the East Bay, Oakland dragging its feet on seismic retrofitting. Since the deadly fire that killed 36 people at the Ghost Ship warehouse on December 2, city officials and concerned residents are zeroing-in on illegal, non-permitted, and potentially dangerous Oakland properties. But a structural flaw in potentially hazardous buildings that has been overlooked by the city for years is the 22,000 rental units in Oakland's "soft story" buildings, which are at very high risk of collapsing in an earthquake or major disaster. 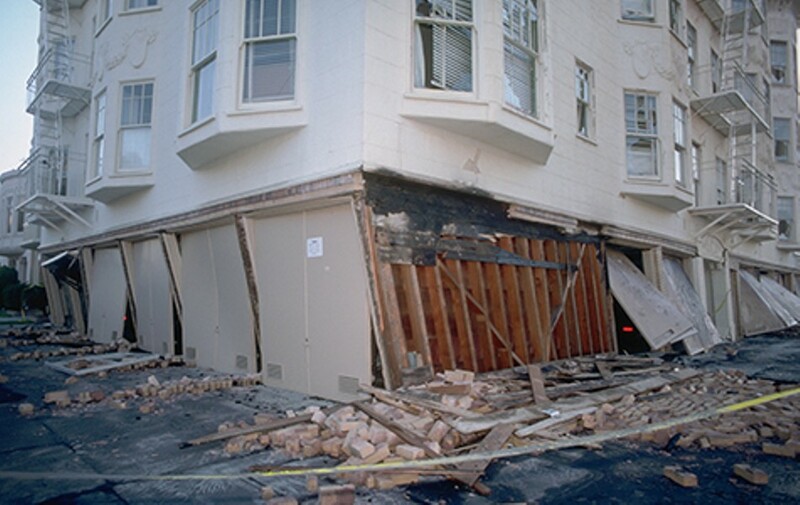 San Francisco and Berkeley have mandated seismic retrofits of soft story residential buildings, and those cities are nearly finished making them safer. But the city of Oakland has dragged its feet on similar projects, and zero work has been done on these soft-story complexes — which according to reports could result in significant loss of life. "Mandatory retrofits should have been here by now, but some complications got under way and it's not being implemented at the moment," explained Alain Placido, a civil engineer and member of Oakland's Planning and Building Department. Oakland City Council approved an ordinance requiring owners of wood-framed properties to complete structural assessments in 2009. After evaluating more than 1,400 buildings and identifying 1,100 as potential hazards, a formal "soft story" retrofit program was introduced — but this process took five years, until April 2014. A soft-story building is characterized as a building constructed before 1991, and with wood frames and open spaces on the ground floor. Units in these buildings make up 11 percent of Oakland's occupied housing stock. Oakland City Council adopted a resolution earlier this year appropriating up to $3 million in Federal Emergency Management Agency grants for "soft story" apartment building retrofitting. Yet no residential buildings have been fixed yet, though the plan is to start in early 2017. Oakland identified more than 19,000 rental units in "soft story" complexes in 2008. A structural assessment sent to wood-frame property owners later identified up to 3,000 more similar units. Phase II of the retrofit program was supposed to be implemented in 2014, with the goal of performing engineering evaluations and retrofitting buildings. But no residential retrofits have been mandated, unlike San Francisco and Berkeley, both of which have mandatory requirements. "The ordinance was just data collection," Placido said. "We have not implemented a mandatory retrofit phase yet." Councilmember Dan Kalb floated an ordinance mandating the seismic retrofitting of certain multi-unit residential buildings last year. But it did not garner enough support. He said he will again be proposing this ordinance early next year, after successfully getting money into the state budget to assist with financing. "Without proactive measures to reduce risk, Oakland's character could change forever, with a potentially significant loss of life and housing hampering community recovery," noted a 2014 memorandum recommending a mandatory retrofit program for soft-story apartment buildings. Typical soft-story retrofits include reinforcing exterior and interior walls, adding steel frames to large openings, and enhancing any other foundational support. 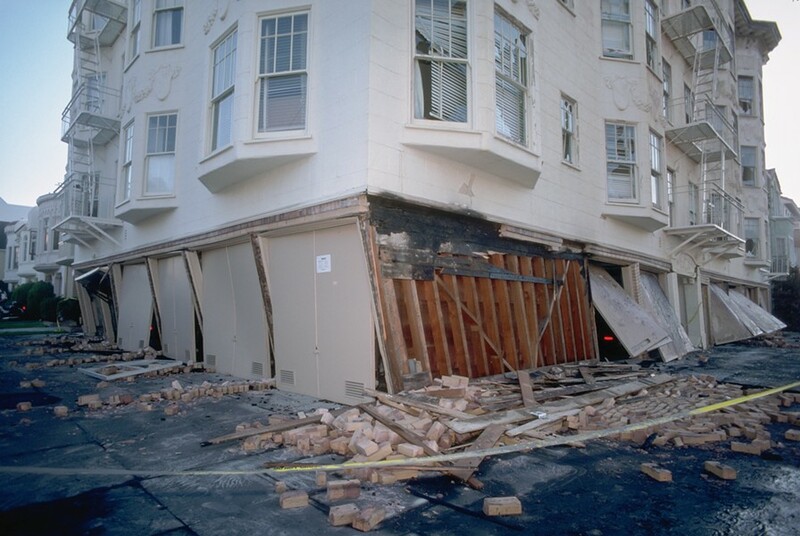 Some of the 1989 Loma Prieta quake's most devastating damage was to soft-story buildings in S.F. 's Marina District. Later, in 1994, sixteen individuals perished when a soft-story collapsed in the middle of the night during the Northridge quake.